Faith is often described as belief that’s not based on proof, or confidence in what is not seen. Hebrews 11:1 says that it is “the substance of things hoped for, the evidence of things not seen.” Consider an egg. We don’t see what’s inside, yet don’t throw the egg out, doubting what’s inside. We plan to use it. We expect when we crack it open to see a yolk and a white inside. 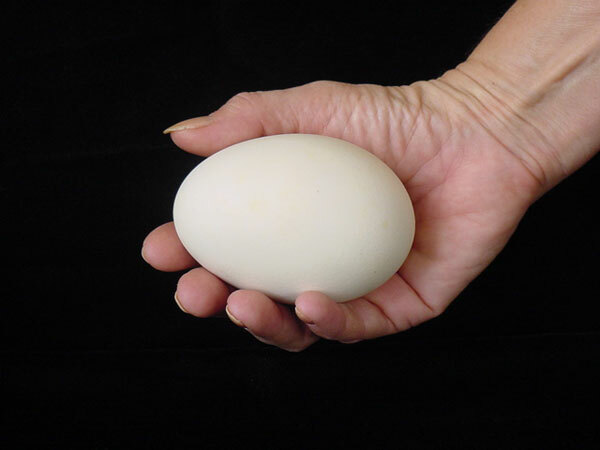 We have confidence in what we do not see, and expect what cannot yet be proven while we hold the egg in our hand. Great faith is seen by a woman in 2 Kings 4:8-37, that we only known as a “notable woman” of the Shunammite tribe. She was “notable” because of her was her character and her faith. When we read of her we learn that she is happy serving God, and trusted by her husband. The prophet Elisha often travelled by her house. When he did, she would feed him. But one day she made a request to her husband that would inflict fear and suspicion in most husbands. She asked him to make a room for the prophet in their house, complete with bed, table, chair, and lampstand. Most men would have questioned why their wife wanted to move another man into their house. But the fact that her husband did not question her, and created the room for Elisha, says that he found her trustworthy as well. Elisha, wanting to repay her for her service to God and him, called her to him, and spoke a blessing into her life, saying “About this time next year you shall embrace a son.” Now at this time, her husband had already aged, and she had never had children. She replied to Elisha out of disbelief, saying “No, my lord. Man of God, do not lie to your maidservant!” But in a year’s time, exactly as Elisha had said it would happen, she had a son. How much she must have loved this child, being her only child, and a blessing from God. The son grew to be several years old, and from what we read he was most likely of around preschool age. One day he was helping his father in the fields and he began to complain “My head! My head!”. He came back to the house, sat on his mother’s lap till around noon that day being comforted, and then the unspeakable happened. This dear son died. Consider what the Shunammite woman does and says at the death of her only child. She does not wail and cry. She does not change into sackcloth and cover herself in the ashes of mourning. She does not prepare a grave. She does not call her husband into the field and tell him of his son’s death. Instead, she lays her dead son on the prophet’s bed in her house, and closes the door. “It is well”. Three small words that tell us she had unwavering faith. In the midst of the worst event that could occur in a mother’s life, she saw past her circumstances, and had expectation of God reviving her son. She rode until she met Elisha, came off the horse and grabbed him by the feet. Elisha then knew that her soul was in pain, and that God had not revealed it to him. We don’t know why God had not told Elisha of the events. Elisha often heard of God about things that had not yet come to pass, and things that had occurred that no one had told him. But perhaps God had not revealed it to him to test her faith, to see if she would lose confidence in Him on the long ride from Shuman to Mount Carmel. But she did not. She spoke to Elisha and said, “Did I ask a son of my lord? Did I not say, ‘Do not deceive me’?” Then God reveals to Elisha the situation, for she never told him that the son had died. She never spoke it, because she refused to accept it. She saw past her circumstance and was living in her confidence in God. Elisha told Gehazi, his servant, to ride ahead to her house with his staff. He told him not to stop along the way, not to answer anyone who spoke to him, but to ride until he saw the child, and lay his staff on the child’s face. This may have seemed odd, but a staff was more than just a stick of wood. A staff was carved by the owner with engravings of God’s faithfulness. When carried by a shepherd it might have a carving of a bear on it, where the he had killed a bear or a lion where he had killed a lion. Looking at the staff, the owner could recollect God’s faithfulness. A staff, in many ways, was like a journal we would keep of answered prayers. Several hours would now have passed by. Here, in her own house, after travelling to get help, her son was still dead. Yet, she still does not cry out in sorrow, but still waits on God to deliver. Elisha began to pray to God for life in the child. He lay on the child to bring warmth back to his body. He put his mouth on the child’s mouth to breath into him. Yet, the child still was dead. He walked about in the house, and returned to the child, and did the same thing again. Then a miracle happened! The child sneezed – seven times – and opened his eyes! Seven is the number of completeness in God’s word. God’s test had been completed, and she had passed. Her faith never wavered, and her son was returned to her. When Gehazi called to her to pick up her son, she didn’t run to the son first as we might do. She bowed to the ground at Elisha’s feet in gratitude, and then picked up her son. But sometimes the burden can be too much for our faith to bear alone. That is why we have each other. The Shunammite woman did not pray to God herself for the life of her son to return. Perhaps she felt her faith was not strong enough. Instead, she went for the prophet, knowing the prophet had already prayed and seen God work miracles. All things are possible with God, as we know from His word. But faced with the evidence of things already past, it can be difficult to place our faith in God to change our circumstances. Nowhere in God’s word does it tell us we have to pray for God’s miracles alone. In fact, some of the greatest miracles in His word occurred when many prayed, such as the forgiveness of Nineveh in Jonah, and the protection of the Jews in Esther. Faith is seen in our expectations of our prayers. If that expectation is strengthened by having others pray with you, then you should not see it as a personal weakness to ask others to help you pray. It is in fact strength to recognize your need for reinforcement. When you need to believe God for something you doubt, reach out to those who have a staff engraved with answered prayers. Reach out, and find strength in their faith.